Us railway enthusiasts have much to thank the armies of volunteers that keep heritage railways alive. 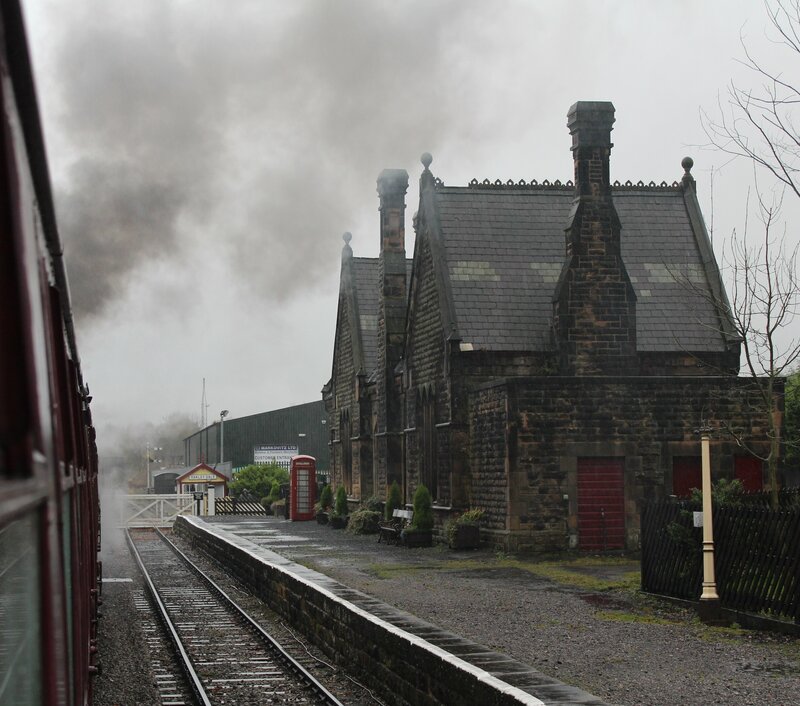 There is hardly a part of the country that does not have a heritage railway nearby, which means that when on holiday in the UK you have usually have many options. An exception to this rule however, is the month of November. The month sits at the end of the autumn steam gala season and before Santa Specials of December and not surprisingly it is used as an opportunity to perform maintenance work. Peak Rail manages to keep steam hauled services running throughout November, which was very fortunate as Mrs Locoyard and I visited the Peak District. 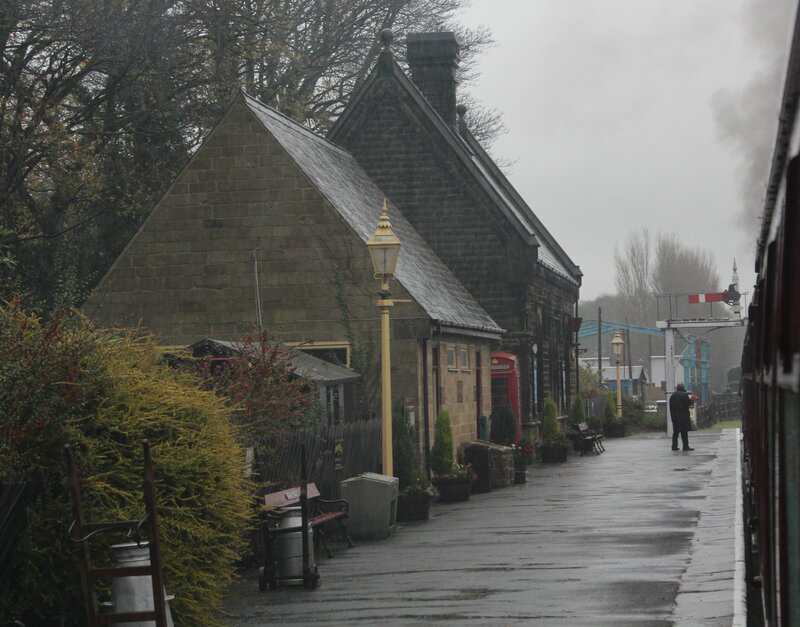 The railway runs between Rowsley South to Matlock where it connects with Network Rail, running via Darley Dale over a distance of around five miles. Although short the journey is very sweet, with beautiful views across to the south east of the National Park which we could just about make out through the inclement weather. Not only is it a scenic ride, but my wife and I were made to feel very welcome. It’s always nice when the ticket collector stops for a quick chat and takes an interest in where you are visiting. Little things like that go a long way in my book. The railway has an interesting collection of stock and carriages. The locomotive’s in operation have already been covered in previous blog posts (click here to read about Hunslet Austerity Lord Phil or here to read about class 14 14901,) but there’s much more to the railway besides these. It has a huge collection of diesel shunters, being home to the Heritage Shunters Trust. 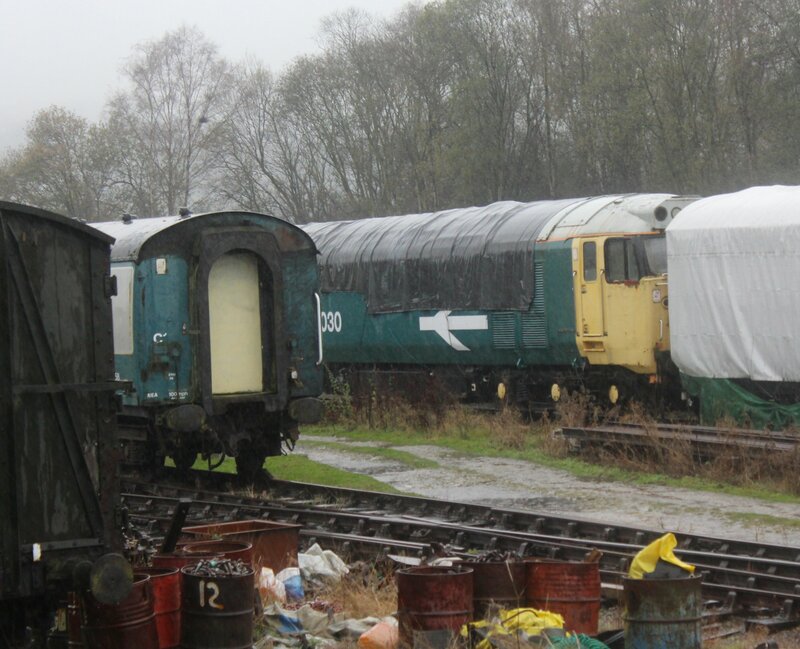 Also on the diesel front, Peak Rail is home to two class 50 locomotives 50 029 Renown and 50 030 Repulse owned by the Renown Repulse Restoration Group. Unfortunately the line has a limited number of steam locomotives. Until very recently it was home to London Midland and Scottish Railway 4F class 44422 owned by the 44422 Locomotive Company. However 44422 will now move to the West Somerset Railway. One of the line’s biggest claims to fame for steam era enthusiasts is the LMS rolling stock owned by the LMS Carriage Association. They own a large collection of rare LMS carriages, including 1501 pictured below at Rowsley South from the train. The BR stock used on the train my wife and I rode on the day was nicely finished in BR maroon, which made a change to the green that I normally see on the Watercress Line. ← UK Heritage Hub Issue 47 now ready to download!